Last Thursday night, while apparently on the way to the Estancia High School football game, Costa Mesa Planning Commission Chairman - and multiple-attempt City Council candidate - Jim Righeimer was among more than 3200 drivers passing through a DUI checkpoint conducted by a Costa Mesa Police Department. Of that number, just under 500 were actually stopped and questioned. Most, including Righeimer, just moved right through without complication. However, he apparently was the only one, according to Joe Serna's Daily Pilot article on the event, HERE, to leap out of his car and confront the officers conducting it. According to Serna's coverage, after Riggy moved through the checkpoint w ithout being stopped, he parked in the nearby McDonald's parking lot, walked over to the police and questioned the wisdom of conducting the checkpoint at that time of day - around 6:30 p.m. According to Serna's report, officers on the scene felt that Righeimer "tried to flex political muscle because he was inconvenienced by the traffic the checkpoint created." Also according to Serna's report, Righeimer threatened to call Police Chief Chris Shawkey to get him to remove the checkpoint immediately. Quite honestly, this doesn't surprise me at all. During the brief four years he's lived in Costa Mesa, and particularly during his tenure on the Planning Commission, he's demonstrated many times that he feels the rules we all follow are not for him - that he somehow has some kind of divine dispensation from following the rules. Time after time I've seen him attempt to change ordinances from his perch on the planning commission dais and browbeat applicants before him if they don't follow his direction. While the City has been in very delicate negotiations with it's public employee unions in an attempt to get the budget balanced, Righeimer launched his council campaign by making it clear that he's going to go after Costa Mesa employee's salaries and benefits once he's elected. His pointed comments at the first candidate forum last month to that effect, while looking directly at members of the public safety unions present, certainly didn't endear him to our cops and firefighters and certainly didn't make on-going negotiations any easier for our elected representatives and management staff. Because of his outspoken opposition toward public safety compensation it's widely assumed that those city employees will actively campaign against him this fall. Which makes Thursday night's event all the more ironic. I suspect that the officers in at the checkpoint, fully aware of the poor relationship between Righeimer and their rank and file, handled that confrontation with a very delicate touch. I don't know that for a fact, but hope to find out soon. As you will read in Serna's account, we do know that Righeimer's account of the event and those of officers present differ dramatically. Today, Saturday, I emailed Chief Shawkey and City Manager Allan Roeder, asking for direction on how to obtain copies of any and all audio and/or video recordings of this event. Shawkey replied tonight that my request would be forwarded to the City Attorney. Roeder, for his part, apparently told Serna that there is an investigation taking place and that all documents and recordings would be gathered and delivered to the City Attorney. I don't know how that will affect my request. I wouldn't be surprised if the Daily Pilot makes a similar request. 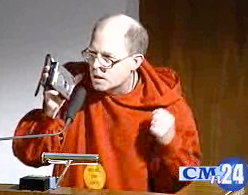 Those of you who read this blog frequently know that Riggy's not my favorite guy. He landed in town during the middle of Allan Mansoor's re-election campaign at a time when Representative Dana Rohrabacher was actively helping Mansoor with his run for re-election. Righeimer was Rohrabacher's campaign manager at the time and is part of the Orange County Republican apparatus - sharing quarters with OC GOP Chairman Scott Baugh for a while, for example. I've been critical of Righeimer frequently as he pontificated from the Planning Commission dais, abusing applicants and trying to make up new rules as he went. Thursday night's event may be the best example of his disregard for the rules and the arrogance that makes him think he can run roughshod over residents and city employees with impunity. It's yet another reason for me to suggest you very seriously consider whether this is the guy you want to have with his hand on the tiller of our city for the next at least four years. I sure don't. Stay tuned to this one... more to come. I did not attend the Fair Board meeting today at which the emergency resolution was addressed. However, I do have a report for you, gleaned from information provided by those who attended. According to a couple sources, including CEO Steve Beazley, the full board met and heard a discussion of the documents uncovered by their lawyers as discussed in my earlier posts. They also heard public comments from a couple interested parties, including Sandra Genis - President of the Orange County Fairgrounds Preservation Society - and Costa Mesa activist Greg Ridge, who has been a persistent and vocal critic of all the plans to sell the Fairgrounds. According to Beazley, following direction given to him by the Board via a rare 7-0 vote, he will draft a letter to Governor Arnold Schwarzenegger from the Board which will be submitted within the next couple days. This letter will transmit the legal summary from the Fair Board lawyers - although I suspect many folks in Sacramento have that document clutched to their breasts already today. The letter will also present the Fair Board's request to "revisit" their recent profit sharing proposal. This is in light of the new information about the actual owner of the Fairgrounds - the Fair Board. Beazley emphasized that the purpose of today's meeting was informational, not confrontational. They felt it was important to get this new information to the public - and in particular to potential bidders for the property - as quickly as possible. Many interested parties were in the nearly packed house today, including Costa Mesa City Manager Allan Roeder and representatives from the city's potential part ner in the Fairgrounds deal, Facilities Management West. When I contacted Roeder this afternoon he indicated that my take on the meeting was correct and offered the following comment: "The questions posed in the legal analysis merit a response from the State. That holds whether the sale involves the City or a sale through the current bid process. As legal counsel to the OCF stated this morning, these are questions at this point – not statements of fact. The Purchase & Sales Agreement proposed by the City and tentatively accepted by the State requires that they provide clear title to the property." 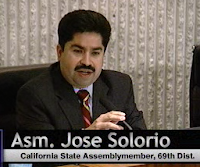 Assemblyman Jose Solorio - sponsor of the enabling legislation for the Costa Mesa sale that is hung up in Sacramento - was also at the meeting, as was State Senator Lou Correa, who recently came out against the sale. I contacted the State Department of General Services this afternoon to get their take on this new information. Unfortunately, nobody was available for official contact - they're on furlough! I did speak with a representative at his home who told me they were aware of the legal summary presented to the Fair Board - he read it on my blog - but no official opinion had yet been crafted by the DGS. 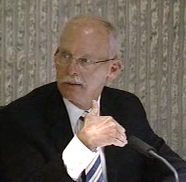 He also confirmed that no bids have been received in Sacramento yet in response to the new RFP. Since the only chance the City's deal has to be completed involves passage of the enabling legislation, and since the governor has called the legislature back to hammer out a budget - hopefully, this weekend - there is always a chance that the necessary bill will be attached to the budget. Personally, I'm not holding my breath because this new revelation by the Fair Board significantly complicates things. The whisper of a lawsuit keeps floating around in my head, regardless which "sale" process might go forward. So, dear readers, stay tuned. This is better than any soap opera you can find on television. If this past week is any indication, next week will REALLY be fun. T his afternoon the Board of the Orange County Fair and Event Center (Fairgrounds) provided us with a copy of it's agenda report for the meeting tomorrow, Friday, at the Fairgrounds. Yikes! I can see now why they felt this required an emergency meeting! "Upon examination of the RFP II it has come to the attention of legal counsel for the 32nd District Agricultural Association that title to the fairgrounds may remain in the 32nd District Agricultural Association and that special provisions of law govern the disposition of the proceeds of the sale of property belonging to District Agricultural Associations." The staff report includes a report from the Fair Board's legal counsel, Manatt, Phelps & Phillips, LLP, that first summarizes some of the issues at play. Some of the answers provided make the success of any sale now suspect. If you wish to read the entire staff report, including the legal summary and the deed, click HERE. For example, based on their analysis, there is no clear authority for the 32nd DAA (Fair Board) to transfer the Property to a buyer, which means the buyer may not be able to obtain title insurance. Even if the buyer could obtain title insurance, ambiguity in the statute makes any transfer of the Property in which the Fair Board did not execute a properly authorized deed subject to challenge. Du e to conflict in the legislation enacted in 2009 and the previous existing legislation it's not clear whether proceeds from the sale could be deposited in the State's General Fund or whether they must be deposited in the State's Fair and Exposition Fund. The lawyers for the 32nd DAA (Fair Board) have discovered issues dealing with the actual ownership of the Fairgrounds, including the original title for the property and a contemporaneous news clipping from the Los Angeles Times from July 7, 1949 that shines new light on this transaction. That clipping is part of the staff report. Confirming my previous entry in which I indicated, based on a comment in the new RFP, that the title of the property is held by the Fair Board, a search by a title company confirmed that fact. According to the report from the lawyers, the quitclaim deed that transferred the property to the Fair Board back in 1949 includes a stipulation that, in the case of a national emergency, the federal government can take full, unrestricted possession, control and use of the Property as long as the government pays fair rental value. This encumbrance will create a complication in any transaction transferring the title of the Property. The legislation that was created to sell the Property, Assembly Bill No. 4x22, sign ed into law July 28, 2009 also created agricultural District 32a, which is described as a "Disposition District" that apparently consists of all the real property in the 32nd DAA. However, no directors have been appointed to this district, nor does it have any officers or employees! Apparently the language in the bill creating the new District doesn't have appropriate language transferring the property, which leads to a problem of subsequently transferring title. So, the issue of who has the authority to actually sell the property exists and, according to the lawyers, if the Fair Board has that authority it still must get approval of two other State departments to complete the sale - the Department of Food and Agriculture and the Department of General Services. Because of the fuzziness of the title transfer and the probable inability to obtain title insurance, discussion of whether or not the State has authority to indemnify the title company leads the lawyers to comment, "The Bill does not grant the Department or any other state institution or agency any such authority." The Bill authorizes the sale of the real property only. If a buyer wants the personal property they must negotiate with the Fair Board, as indicated in the RFP. This also requires the approval of the above two departments. "Due to ambiguities in the Bill and conflicts between the Bill and the existing legislation, the Department’s authority to effectively convey title to the Property through the RFP process is unclear. In addition, even if a title company agrees to insure title, it is unclear as to whether the funds from the sale may be deposited into the state’s General Fund as contemplated by the Bill, whether the funds should properly be deposited into the state’s Fair and Exposition Fund as required by Section 4002 of the Food and Agricultural Code or whether the funds must be deposited in accordance with Section 9 of Article III of the California Constitution." It seems clear that, if the lawyer's analysis is correct, the current Fair Board holds the key to making a sale work. Based on the legal analysis, there are specific acts the Board MUST take to make the sale work. The question now is, "Will they?" My take on this mess is that if I was a potential buyer, fully immersed in the process of responding to the RFP with a bid for the Fairgrounds in two weeks, I'd stand up, take a deep breath and have my team STOP what they're doing until some of these new entanglements can be sorted out. If I'm in the Department of General Services tomorrow when this hits the fan I suspect the language will be loud, angry and comprised of very short, four-letter words. And, if I'm the Fair Board, I suspect I'm going to sit back with just the slightest hint of a smile on my face and wait. As an aside, the CEO of the Fairgrounds, Steve Beazley, confirmed for me today that there are two Fair Board seats vacant and three have had their terms expire. Interestingly, those expired seats are still occupied - by Chair Kristina Dodge, David Padilla and Joyce Tucker. Beazley tells me has been standard practice with the Fair Board. That's a curious situation, but it seems as though the Governor could immediately place five compliant members on the Board to form a majority and take control of this situation if he chose to do so. I'll report more Friday after the Fair Board meeting. I suspect there will be more than a few interested parties in attendance and many questions posed during the meeting. Will the drama never end? Emergency Fair Board Meeting Friday! Earlier today the 32nd District Agricultural Association, also known as the Orange County Fair and Event Center Board of Directors, distributed a notice of a special meeting of the Board on Friday, September 17, 2010. The first item on the agenda for this meeting is a justification for calling such a meeting in the first place under the rules imposed by the Bagley-Keene Open Meeting Law. Once that agenda item is dispensed with - we assume a justification exists for such a short notice - they will proceed to the second item - Sale of the Orange County Fairgrounds. Sin ce the Board and staff of the Fairgrounds have a very good chance of losing their jobs with the two scenarios presently in play - the Costa Mesa/Facilities Management West purchase/lease offer and the State's reissuing a Request for Proposals for the sale of the Fairgrounds should the other item fail to materialize - it's really no surprise that the Fair Board is planning some kind of action. You may recall that their plan to enhance the profit sharing of the Fairgrounds operations was rejected by the State. WHO ACTUALLY OWNS THE FAIRGROUNDS? "Titl e to the Property is held by the 32nd District Agricultural Association (32nd DAA), a state entity within the Division of Fairs and Expositions, California Department of Food and Agriculture. The 32nd DAA, doing business as the OC Fair & Event Center, operates the Property as a fairground and event facility that is host to an almost year-round calendar of events. While title is held by the 32nd DAA, jurisdiction of the Property falls under District 32a (“District 32a”) which was created pursuant to the Authorization." Doesn't that sound like the Fair Board actually owns the property? If so, I wonder if a law suit to stop the State from selling it's property might actually have some merit. That would be an interesting turn of events, don't you think? COULD ARNOLD FIRE THEM ALL? Of course, the 32nd District Agricultural Association Board is appointed by the Governor and, I believe, serves at his pleasure. If the current board is, in fact, going to try an end run and sue the State to stop the sale, could he just fire them all and appoint another, more malleable, crowd? Just when you thought you'd seen all the drama possible in this scenario it takes another curious twist. 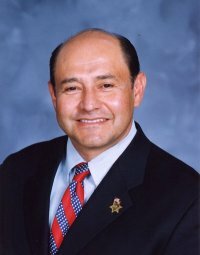 Tuesday evening, in the Daily Pilot online, Joe Serna reports that - according to FBI statistics - violent crime in Costa Mesa dropped 14% in 2009! You can read Serna's article, which includes the details, HERE. This is terrific news and a great testament to those brav e men and women who patrol our streets and try to make our city safer. We only hope the current budget constraints, and the current salary negotiations, won't keep them from continuing to perform at such a high level. Kudos to the Chief Chris Shawkey and the men and women of the CMPD. Our formerly young, and former jailer, Mayor Allan Mansoor has been getting a lot of press recently. For example, the media is all abuzz about his latest scheme to quash what he perceives to be a marauding hoard of illegal immigrants in Costa Mesa - to REQUIRE the use of the federal E-Verify program. This was discussed at the city council study session Tuesday. I was not there, nor have I seen the tape of the meeting yet, but I'm told that Mansoor stuck close to his request as presented in the staff report. Not only will his plan require the City of Costa Mesa to utilize E-Verify, but he would require every NEW BUSINESS to agree to use E-Verify before a business license could be issued. Additionally, Mansoor also wants to require EVERY EXISTING business to use E-Verify on all it's current employees before a license renewal could be issued. It's my understanding that Mansoor will bring this item before the council in a future meeting, seeking authorization for the staff to do exhaustive research and create the appropriate legal documents needed to implement such a plan. This seems like an unnecessary, costly (in these difficult budget times) and intrusive measure - one that will certainly not endear Mansoor to the business community. Much like his "rule of law city" resolution, this is just another grandstanding move on his part to gin up votes for his faltering Assembly race against Phu Nguyen. Cindy Carcamo and Jon Cassidy of the Orange County Register did an excellent article late Tuesday on this subject. You can find it HERE. There's a very interesting piece about Mansoor on the Orange Juice blog by crooner Vern Nelson that is part of a series of articles on that site about our aspiring assemblyman. I think you'll find this particular one especially entertaining. You can find it HERE. Enjoy. Finally, before I close, I want to provide you with some perspective. 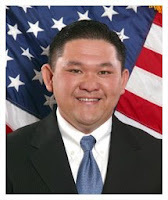 The following little video clip from YouTube presents a view of Mansoor's opponent in the 68th Assembly race - Phu Nguyen. I know you'll find it interesting and gives you a way to compare his background and qualifications to those of Mansoor. Tuesday the Costa Mesa City Council will hold a study session at 4:30 in conference Room 1A at City Hall during which they will discuss some interesting items. 1 - Amendments to the Graffiti Ordinance - The council first addressed this issue in March, then kicked the can down the street to "a future study session", which appears to be Tuesday. Theoretically, they will discuss modifications to the current ordinance - we assume to tighten up some areas in question. We'll find out Tuesday. 2 - Potential Utilization of E-Verify - Lame duck Mayor Allan Mansoor requested this item be brought forward for discussion. We can only assume this is one of his schemes promised at his press conference last spring and during the council meeting at which the controversial - and meaningless - "Rule of Law City" resolution was passed. Based on the staff report, it seems that the mayor wants the federal E-Verify process to be required in the City employment process; be included in future City contracts/agreements for contracts and subcontracts; every employer seeking a new business license and RENEWALS of business licenses and "potentially other alternatives that may be discovered during the staff research. I don't know how you feel about this, but for a "less government is better" Republican, as Mansoor professes to be, to be proposing such onerous government interference in private businesses seems mighty strange to me. 3 - Residential Waste Hauling Franchise Fees - This one is also very interesting, since the City isn't responsible for residential waste hauling in Costa Mesa - that responsibility falls within the purview of the Costa Mesa Sanitary District, a separate, distinct organization which was spun off from the City many years ago. The final sentence in the Staff Report says: "However, it will take policy-level direction by the Board of the Sanitary District and the City Council to effect further research and any substantial change." Gee, no kidding! 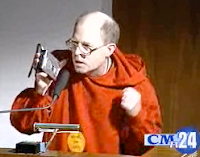 And where, might I ask, is Gary Monahan in all this. Will he have to remove himself from the discussions both as a councilman and a director of the Sanitary District? Seems like it. Immediately following the Study Session the City Council will move to the council chambers for a special closed session meeting to discuss negotiations with the employee bargaining units. It seems likely that this meeting will only be in chambers for a few minutes - to read into the record the agenda and take public comments. They would then adjourn to another venue - a nearby conference room - for the remainder of the meeting. This special meeting is necessary because four of the five bargaining units are working without a contract since September 1. The City is in dire straits budget-wise - we were told at the last council meeting that we are still over $9 million in the hole for this fiscal year. Without concessions from the bargaining units it is more than likely that even more staff cuts will have to be made. There simply is not enough money to cover all the expenses. At this point there are three more candidate forums scheduled that involve Costa Mesa Council candidates. The next one scheduled was announced the end of last week in articles in both the Orange County Registe r and the Daily Pilot. This one, scheduled for Thursday, September 30th, at the Costa Mesa Neighborhood Community Center in Lions Park, is called the "Newport/Mesa Feet to the Fire Media Candidate Forum" and theoretically will involve City Council candidates for both Newport Beach and Costa Mesa. I don't recall any such forum in the past. We assume the questions will be restricted to areas of mutual interest to both cities - particularly since there may be nine candidates attending and at least five interrogators. This event will involve a panel of prominent local journalists. So far John Canalis of the Daily Pilot, Tom Johnson of the Newport Independent, Frank Mickadeit of the Orange County Register, Gustavo Arellano of the OC Weekly and Norberto Santana, Jr. of the Voice of OC will be panelists and the irrepressible, vivacious Barbara Venezia, columnist for the Register will act as the Mistress of Ceremonies. The event will be from 7-9 p.m., with the doors opening at 6:30. Next up will be an even more unusual event. This will be the recently announced forum sponsored by Costa Mesa United at which Costa Mesa Council candidates and Newport Mesa Unified School District candidates will be grilled on items of mutual interest and responsibility - as the flier announcing the event says, Academics, Athletics and Activities. The event, from 6-8 p.m. on Wednesday, October 6th, will also be held at the Costa Mesa Neighborhood Community Center and will be moderated by Costa Mesa United Board President Gordon Bowley. The final forum of which I am aware will be hosted by the Eastside Costa Mesa Neighbors Group on Thursday, October 14th, also at the Neighborhood Community Center beginning at 6:30 p.m., although there is some question about the actual venue at this moment. If staffing scheduling permits each of the above forums will be covered by Costa Mesa Television (CMTV) for broadcasting at a future date. It is my understanding that they will join the first forum in the rotation on CMTV until after the election on November 2nd. They would also be available for viewing via streaming video on the City web site. None will be televised live unless the venue is changed to the Costa Mesa City Council chambers, where the infrastructure is in place.